Former Chelsea star Tony Cascarino has urged the club to make a move for Austrian international Marko Arnautovic, who is also a target for Manchester United. Chelsea should try to raid London rivals West Ham United for the signing of Marko Arnautovic in the January transfer window, according to former Blues’ striker Tony Cascarino. The 29-year-old also happens to be a target for Chelsea’s top-four rivals Manchester United. Chelsea are believed to be on the lookout for a new striker heading into the winter transfer window, with their current options failing to meet the desired levels. Alvaro Morata has found the back of the net on just five occasions in the Premier League this term, while Olivier Giroud has only one league goal to his name thus far. Manager Maurizio Sarri, in recent weeks, has resorted to using superstar Eden Hazard as a false-nine with both his frontline strikers not firing. And while the Belgian has eight goals so far in the 2018-19 term, teams have found a way to curtail his impact, much like Leicester City did this past weekend, as they handed Chelsea their first home defeat under the new boss. Given the situation, the West Londoners are keen on bringing in a new attacker in January and have cast their eyes towards Olympique Lyon captain Nabil Fekir, while there have been rumours of them rekindling their interest in AC Milan star Gonzalo Higuain as well. However, Cascarino, who spent two years with Chelsea between 1992 and 1994, has opined that his former club would stand to benefit greatly from signing West Ham United’s Arnautovic. Speaking to talkSPORT, the 56-year-old said: “You know the one player I’d really want to take? Arnautovic – I’d take him in a heartbeat. “I think he’d fit perfectly into Chelsea. The thing with Arnautovic – he reminds me of that Eric Cantona mindset. He thinks he’s good enough to be up there at the top table, and he is. 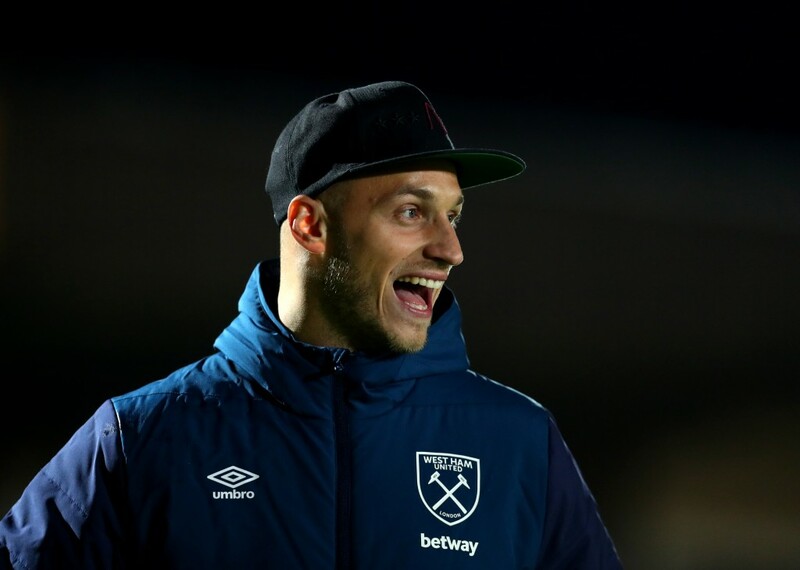 The 29-year-old Arnautovic joined West Ham in the summer of 2017 and played an important role in helping the Hammers avoid relegation in his debut campaign, scoring 11 goals. In the 2018-19 term, the Austrian forward has netted five times and has two assists as well in 13 PL appearances. Manchester United were heavily linked with a move for Arnautovic in the summer transfer window, but baulked at West Ham’s £50 million valuation of the player. However, the Red Devils are believed to be planning a fresh approach to land the former Stoke City star in the winter, as they look to provide more support to star striker Romelu Lukaku. Last month, Arnautovic’s agent hinted that Chelsea too had shown interest in his client’s services, paving way for a transfer tussle between the two English giants in the January transfer window. The 29-year-old’s contract with West Ham runs till 2022, but an exit in the next month is looking like a strong possibility. But, it remains to be seen if Chelsea heed Cascarino’s advice and move in on the Austrian international or decide to pursue alternate targets, allowing Manchester United a free run at their target.